South Florida’s predisposition to weather extremes renders the region’s infrastructure acutely vulnerable. But weather extremes are not exclusive to South Florida. The Urban Resilience to Extreme Weather-Related Events Sustainability Research Network (UREx SRN), a newly formed team of researchers, is addressing these challenges on an international scale. FIU biologists Evelyn Gaiser, John Kominoski and Tiffany Troxler are part of the 50-member team of researchers. Hurricanes, flooding, droughts, heat waves and other extreme events can cripple crucial infrastructure that enables transit, electricity, water and other services in urban areas. With these types of events becoming more common, it is increasingly important to develop infrastructure in different, more sustainable ways. Representing 15 institutions from nine cities in North and South America, the researchers will evaluate the social, ecological and technical systems related to infrastructure. Their efforts will take into account key stakeholders, including citizens who rely on the infrastructure and city officials, as well as the natural environment in which the infrastructure operates. The team will evaluate available technology and develop a suite of tools to support the development of urban infrastructure that is resilient and tailored to particular cities. The National Science Foundation has awarded the network a $12 million grant through its Sustainability Research Networks (SRN) program to support the initiative. 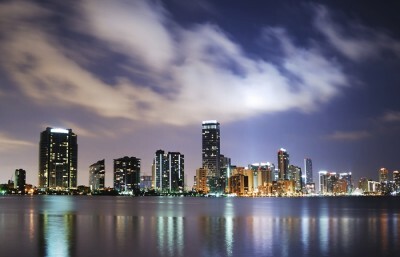 FIU was also awarded a second SRN grant this year as part of the national consortium dedicated to urban water crises. “The goal of SRNs is to bring together multidisciplinary teams of researchers, educators, managers, policymakers and other stakeholders to conduct collaborative research that addresses fundamental challenges in sustainability,” said Gaiser, who also serves as executive director of FIU’s School of Environment, Arts and Society. Each of the nine UREx SRN teams includes an engineer, a social scientist and an environmental scientist, ensuring a rich understanding of infrastructure needs and impacts across cities and cultures. In addition to Miami, teams will be based in Baltimore, Md. ; New York; Portland, Ore.; Syracuse, N.Y.; Hermosillo, Mexico; San Juan, Puerto Rico; and Valdivia, Chile. Arizona State University is leading the initiative. The city infrastructure need to be able support most advanced technology to construct flash flood walls in all the areas around Miami and be able to prepared the fight all causes of natural hazards.